Let&apos;s face it, we&apos;re all a little Irish on St. Patrick&apos;s Day. Who doesn&apos;t like lucky four-leaf clovers or a bit o&apos; the brew to wet your whistle? 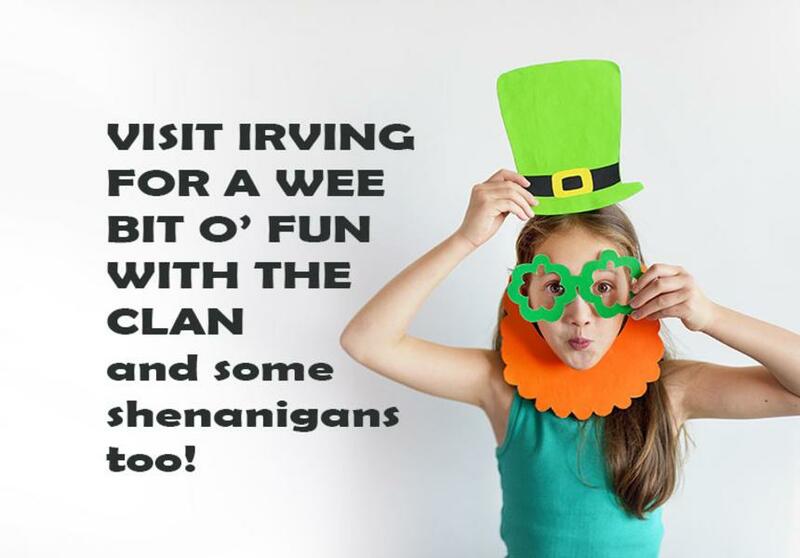 Whether you&apos;re keen for some good Irish stew or planning an outing with the wee ones, there&apos;s a pot-full of things to do here in Irving, Texas. Get out there and have some fun! 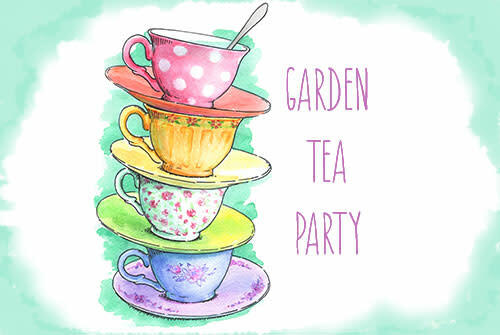 Would you like to go to a Tea Party at the South Library from 2 - 4 pm? It&apos;s to celebrate the art of Beatrix Potter and her famous book series The Tale of Peter Rabbit. Children can learn the art of watercolors, paint with carrots, make crafts, grow a garden with bunny snacks, and more. Tea and sweet treats to munch. Don your best green-colored clothes and head on down to the West Library to celebrate St. Patrick&apos;s Day by making easy and fun crafts. Free, for all ages. 3 - 4 p.m.
A Family-friendly Matinee can be found at the Valley Ranch library from 2 - 3:30 p.m.
Students in grades 1-3 are invited to the South Library from 2:30 - 3:30 p.m. for Chapter Books and Cozy Nooks. Here they&apos;ll discuss a travel-themed book and participate in related activities, including a craft. Free chapter books are given out to the first 10 to arrive. Science in 30 is a quick hands-on lesson where 1st through 5th graders can explore scientific principles, participate in hands-on activities and have a great time! West Public Library from 11 - 11:30 a.m.
Students in grades 4-6 are invited to the South Library from 2:30 - 3:30 p.m. for Kids Only Book Club. This month they&apos;re discussing the classic book A Wrinkle in Time by Madeleine L&apos;Engle. Copies of next month&apos;s selected book will be distributed, while supplies last. The Perot Museum Tech Truck will be visiting the East Library at 2:30 p.m. where students ages 8 - 15 can explore the world of science with spherobots, ozobots and light painting. The Easter Bunny is at Irving Mall and you can get your picture taken with him. He&apos;ll be there from 10 a.m. - 8 p.m. on Saturday and 9 a.m. - 6 p.m. on Sunday. 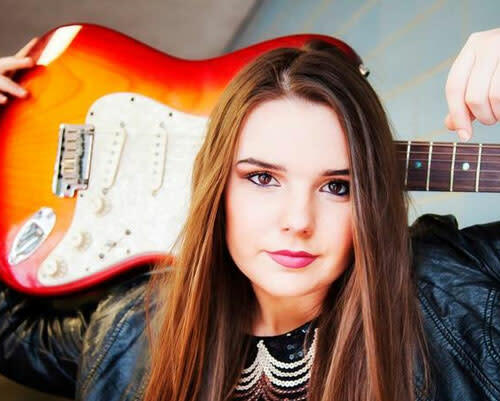 Ally Marie Venable is only 18 years old, but she has a very bluesy and soulful voice. She&apos;ll be performing at the Texas Musicians Museum at 8 p.m. Tickets are $10 online or by phone (972) 259-4444 or $15 at the door. This would make a great date night. You can also bring the kids. Lil Uzi Vert will be performing at The Pavilion at Toyota Music Factory. 7:30 p.m. Tickets are $25 - $99.50. While you&apos;re there, you should check out the new restaurants that have opened. Bar Louie is having their annual St. Pat&apos;s Day Bash with $4 Green Beer and $6 Jameson specials all day, 11 a.m. - 11:59 p.m. Plus, live entertainment from Skeleton McKee! Southern Junction is hosting the Hottest Dance Party in the Metroplex. Doors open at 2 p.m. for brunch, 6 p.m. for dinner and live music by Hazard County starts at 10 p.m. Cover Charge is $8 for ages 21 and up $8.00 (after 8:30pm); $15.00 for ages 18 - 20 (before 8:30pm) and $20.00 (after 8:30pm). If you&apos;re feeling Irish, drop into the St. Patrick&apos;s Day Party with drink specials, party favors and a $1000 balloon drop with cash and prizes. Tickets for the St. Patrick&apos;s Day Party are $5.62 - $9.37. Faron Lee Gilbert is performing at The Ranch starting at 8:00 p.m. No Cover Charge. The OUTLAW Tap Room at the Four Seasons is featuring live music on their outdoor patio from 6 - 9 p.m. No Cover Charge. 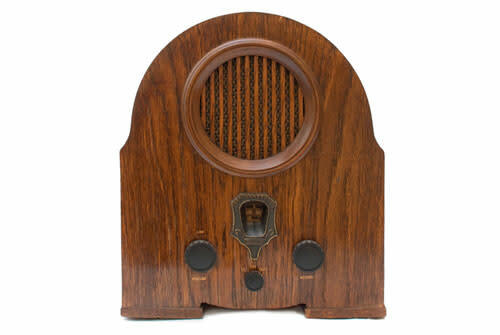 The Vintage Radio and Phonograph Society is holding their Spring Auction at the Senter East Building. If you want to come down and shop or just admire the history behind these antiques, come early because the doors open at 6 a.m. and the auction starts at 9:30 a.m. Registration is $5. The Irving Tennis Classic wraps up this weekend at The Four Seasons. Tickets are $30 - $95. Matches begin at 12 p.m. 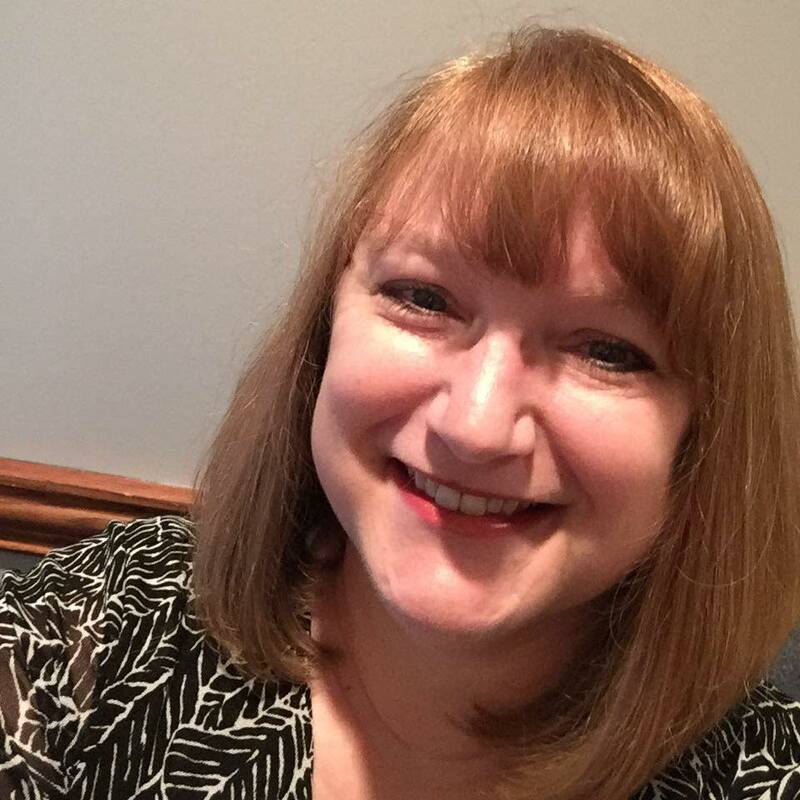 The Las Colinas Symphony Orchestra presents Rachel Kudo, piano at the Irving Arts Center. 8 p.m. Tickets are $16.50-$46.50. Also a great date night or you can bring the kids. Innocent until proven guilty? You be the judge! Leonard Vole is on trial for the grisly murder of esteemed London socialite Emily French. While facing these vicious allegations, only one thing stands between Leonard and the end of a rope … his wife. Will she come to his defense even though she is a witness for the prosecution? Or will her testimony be the evidence that hangs him? This chilling courtroom thriller unfolds one biting detail at a time, twisting your perceptions of fact and fiction. Witness for the Prosecution is playing at The Irving Arts Center on Saturday at 7:30 p.m. and Sunday at 2:30 p.m. Tickets are $21 - $28. This is a great show and tickets are selling fast. Be sure to drop by the Irving Farmers Market at The Irving Arts Center from 10 a.m. - 3 p.m. and support our local farmers, vendors, and craftsmen. The Southern Junction is cooking up some all-you-can-eat smoked brisket, ribs and chicken for just $21.95 **Rest of menu is regular price, not all-you-can-eat. $15 Buckets of Beer, $3 Bloody Mary’s, Screwdrivers and Mimosas all day! Drop by the Irving Arts Center at 2:30 p.m. for a free guided gallery tour featuring the most recent exhibitions. What did I tell you? There is a LOT to do in and around Irving. Be sure to check out our website for even more area events at www.irvingtexas.com.